The exciting true story of the captaincy, wreck, and discovery of the Whydah the only pirate ship ever found and the incredible mysteries it revealed. The 1650s to the 1730s marked the golden age of piracy, when fearsome pirates like Blackbeard ruled the waves, seeking not only treasure but also large and fast ships to carry it. The Whydah was just such a ship, built to ply the Triangular Trade route, which it did until one of the greediest pirates of all, Black Sam Bellamy, commandeered it. Filling the ship to capacity with treasure, Bellamy hoped to retire with his bounty but in 1717 the ship sank in a storm off Cape Cod. For more than two hundred years, the wreck of the Whydah (and the riches that went down with it) eluded treasure seekers, until the ship was finally found in 1984 by marine archaeologists. The artifacts brought up from the ocean floor are priceless, both in value and in the picture they reveal of life in that much-mythologized era, changing much of what we know about pirates." Pirates have been romanticized for a long, long time in movies, books, and other media. This book goes a long way towards revealing the truth about so many of the myths that exist around pirates and how they lived. I appreciated greatly how straight forward Sandler is about piracy and the reasons behind it and how those who really lived it actually lived. This book does focus specifically on the experiences related to one specific ship, first as a slave ship and then as a pirate ship. Details about the ship itself, what made it remarkable, and the people who sailed on her fascinated me. Short segments about slaver, piracy and artifact conservation added greatly to my understanding of the rest of the narrative. I admired the way the author worked hard to make it clear the details about the ship and the people, especially Black Sam Bellamy, have been truthfully documented and which stories are still legend or rumor. The clear, well-written narrative was easy to follow and the story told in a compelling way. The book is beautifully designed with the first part of the book focusing on the Whydah before it sank and the end of the book focusing on it's ongoing recovery. 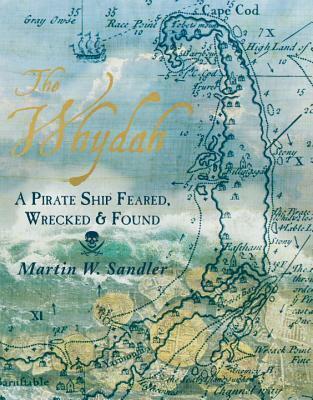 I found the parts about the search for the Whydah's remains just as compelling as the parts about the pirates. The book demonstrates what is so powerful about narrative nonfiction while also including source notes, a bibliography, and an index. A fabulous book for both leisure reading and teaching.